With The Ryder Cup coming to France in 2018, I deemed it necessary to visit Paris before Patrick Reed gets his "shush" on and angers the French fan base. I was able to sneak in one last 2017 trip and my partner in golf crime was Stephanie Wei. When a normal person thinks about France, they think of the Eiffel Tower, French bread, and maybe some of those silly hats. For me, I think... "I bet they got some cool golf courses out there." 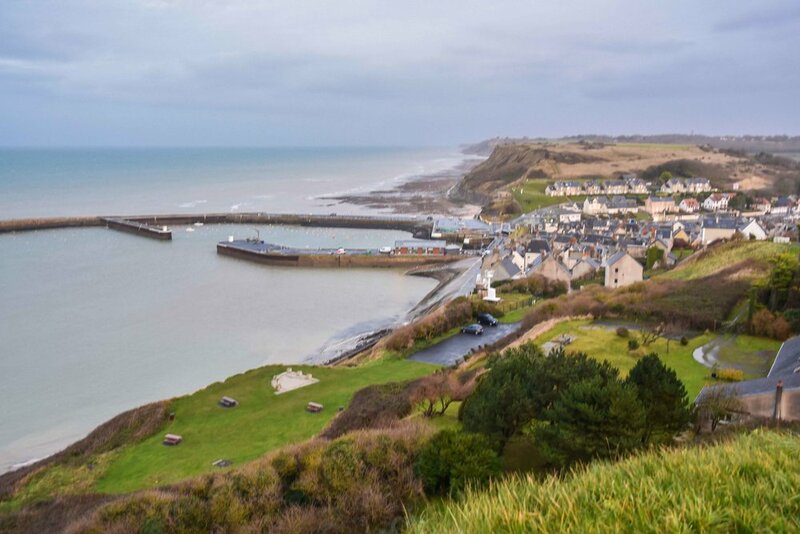 Now, France is not well known for it's golf, but in this post, I uncover some gems and play some courses that are definitely not on your radar. 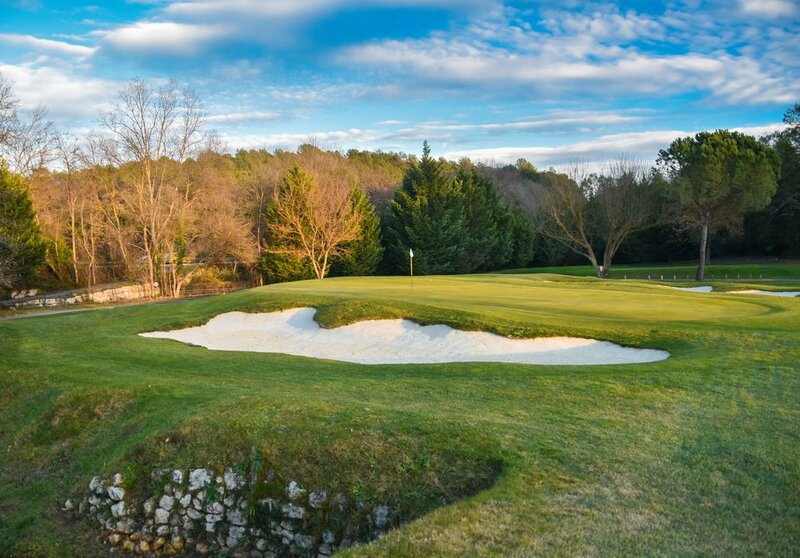 When you pair those gems up with the typical French destinations, you have got yourself a serious golf vacation. 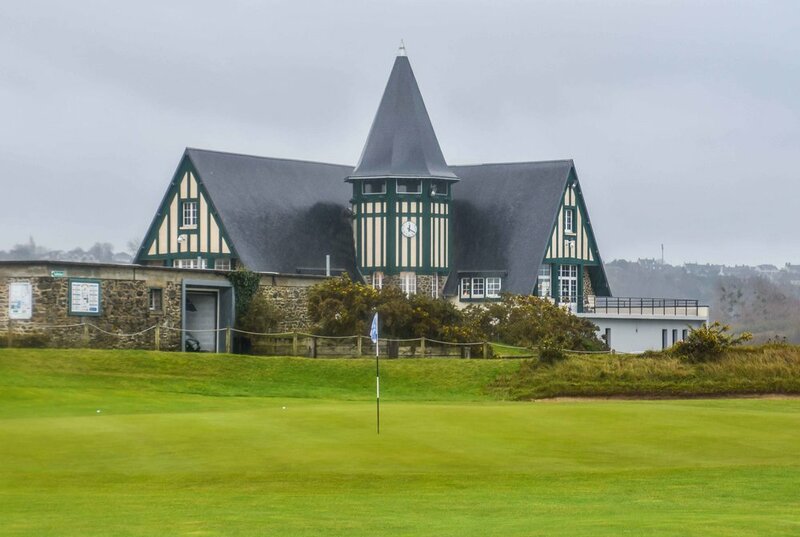 Our first round of golf was at France's finest links course, Golf De Granville. The course is an HS Colt design and is a time tested routing. Like any true links test, we faced Granville in a pretty good side-ways downpour. I started out with 2 great shots and a 3 putt par. The golf party was on. The clubhouse behind the 9th green. 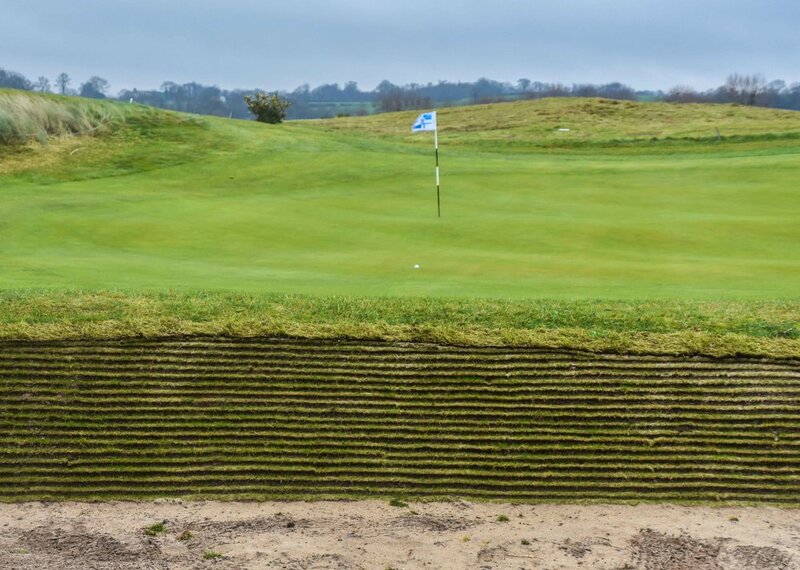 I love a good riveted bunker. On June 6th 1944 US, British, and Canadian troops stormed Omaha Beach on World War II's infamous D-Day. Today, France is no longer occupied by German forces and instead of Nazi soldiers, there is a golf course on the bluffs above the beach. Fittingly, the beach was getting stormed, with rain, as we put our tees in the ground at the Omaha Beach Golf Club. Eventually the rain would lift and we would enjoy a gap in the clouds. The 6th hole finishes right on the edge of the bluff overlooking the sea. A view of Omaha Beach from behind the 6th hole. After storming Omaha, we were off to Le Golf National, the host course for the 2018 Ryder Cup. As we rolled up to the course we caught a glimpse of the rolling WHITE fairways. To our despair, snow had covered the course the night before and we would not be able to play. However, the snow and frost would not stop us from touring the course, getting some great pictures, and enjoying the day. Le Golf National is perfectly suited to host a large professional championship. With stadium seating on just about every hole, the Ryder Cup experience is sure to be a good one for the spectators. The French fan base has already gotten their tickets with the event selling out in around an hour. 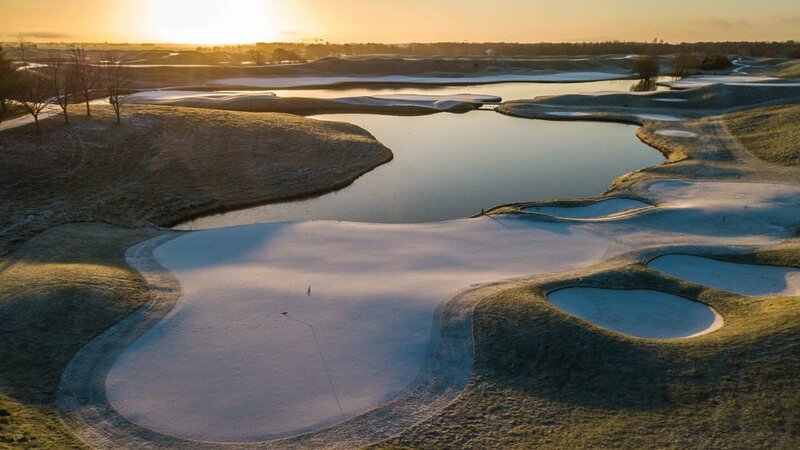 The sun rises over a chilly 16th at Le Golf National. The most prominent and challenging string of holes at Le Golf National is on holes 15-18. Players will need to be both long and accurate on this key stretch if they want to stay dry and put points on the board. There is sure to be some spectacular drama come September 2018. Early odds are 10:1 that someone chucks a putter in the pond. They have the flags up and the carts fully charged. 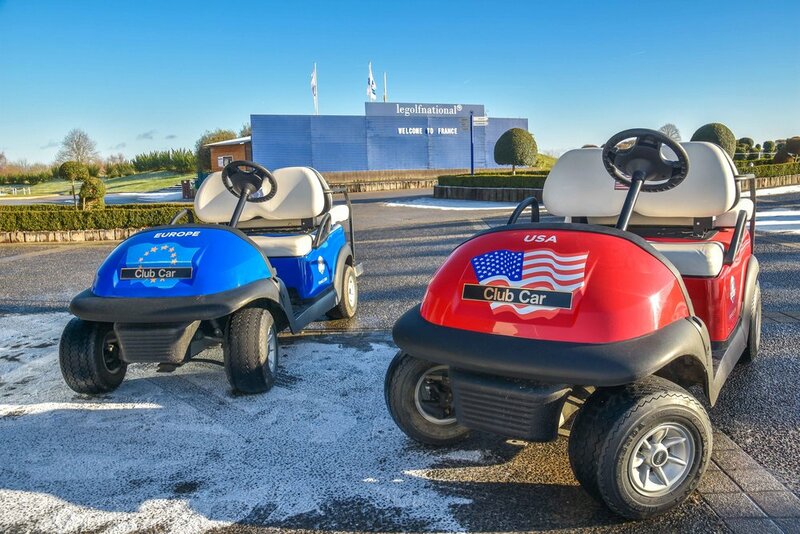 Le Golf National is Ryder Cup ready. The frozen 15th and 18th greens. You will want the Ryder Cup matches to make it to these holes. After a solid scouting of the Ryder Cup venue, it was time to take in some of the French scenery. 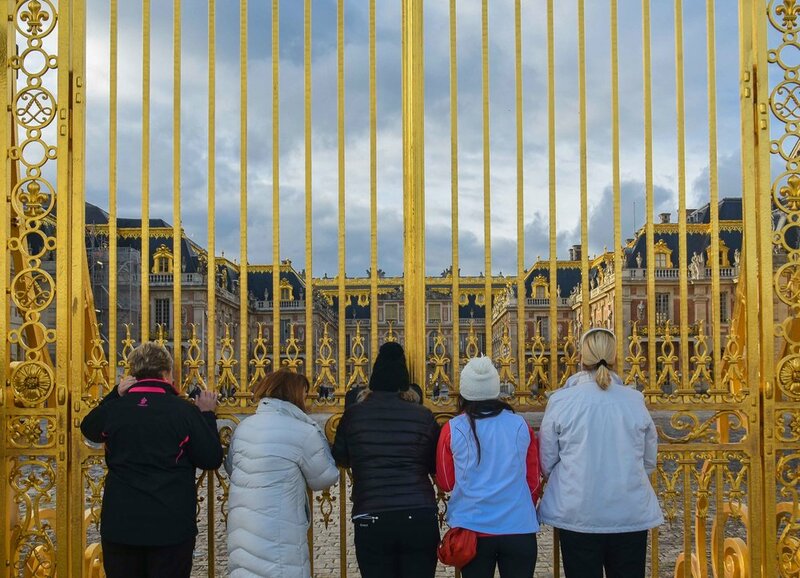 There is an endless amount of obvious attractions like the Eiffel Tower and the Palace of Versailles to see in the Paris area. We did our best to see what we could in a short amount of time. "Look at all of the gold and rich stuff in there." Stephanie Wei is happy to be in Versailles. 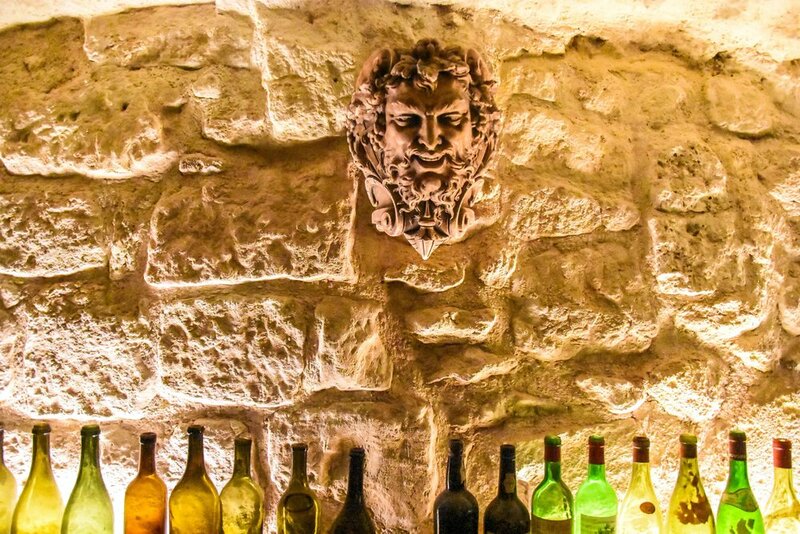 The fine folks over at De Vinis Illvstribvs had us out for a drink in Paris. Even as a non drinker, I enjoyed the wine tasting. Successful high kicks start with consistent stretching. For a golfer, the ideal way to take in the Eiffel Tower is obviously from the golf course. That is exactly what you get at Golf de Saint Cloud. Since St Cloud is a private club, the course isn't accessible to all tourists. Fortunately, it's not Augusta and if you are interesting in experiencing this one of a kind golf experience, it's entirely possible. You would just need to contact Private Golf Key for the details. Just ask for Olivier and tell 'em Large Marge sent, ya. Mentioning this blog post also works. Two greens and the Eiffel Tower. Golf courses don't pose much better than this. 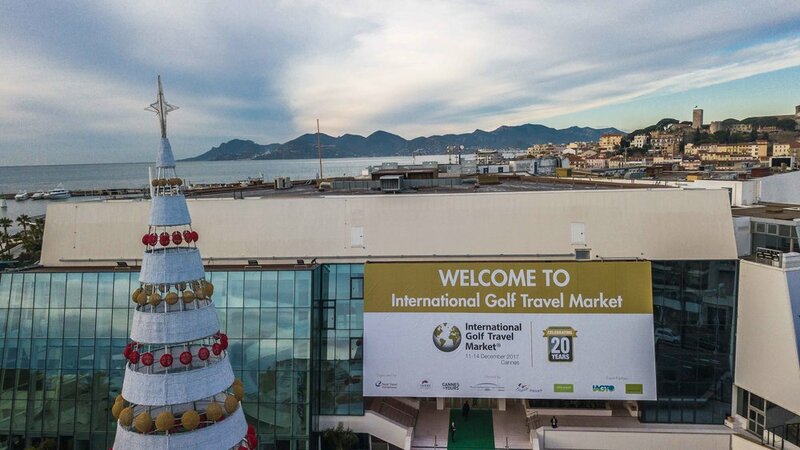 Next up on the agenda was a visit to the International Golf Travel Market (IGTM) in Cannes. The IGTM is an annual get together of countries and tourism boards looking to promote golf and tourism within their countries. It is a big deal and you get a really good idea of some of the amazing golf outside of the US. As if my list of countries to golf in needed to get any longer. After a serious rain fest at nearby Golf de Saint Donat, it was finally time for the sun to come out. We tackled the Golf de Grande Bastide on a brisk but sun filled afternoon. 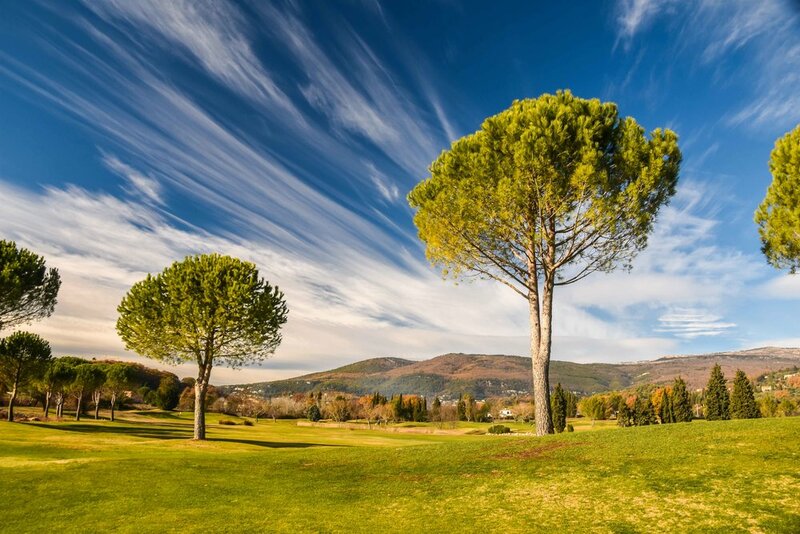 The course is set amongst the foothills of the Niçoise hinterland and has a strong Southern France vibe to it. We had a tense 3 way duel that included several clutch putts with an overabundance of 3 putts. High above the partially frozen fairways of Grande Bastide. After a spirited day on the links it was time to kick off the IGTM. 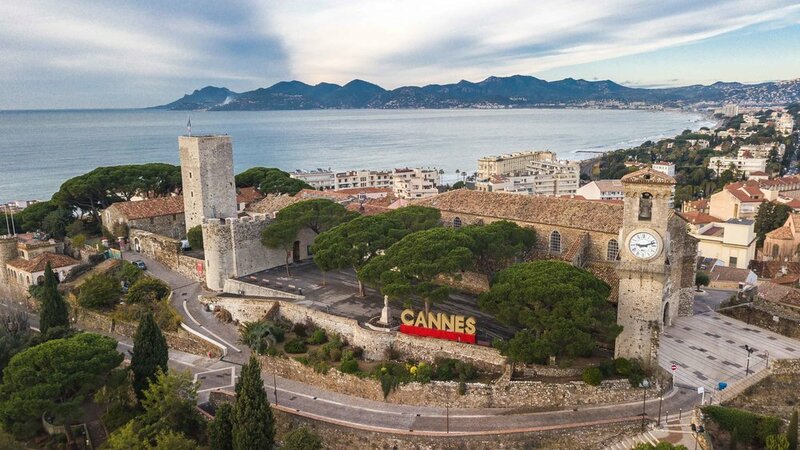 With France hosting the Ryder Cup in 2018, the country is set for a huge year in golf and the IGTM coming to Cannes was no coincidence. The Mayor of Cannes and the officials in charge of the Ryder Cup welcomed us and talked briefly about the unique opportunity that France has to assert itself as a legitimate golf destination. France is not going to replace Ireland or Scotland but any visit to France should certainly involve several trips to the golf course. 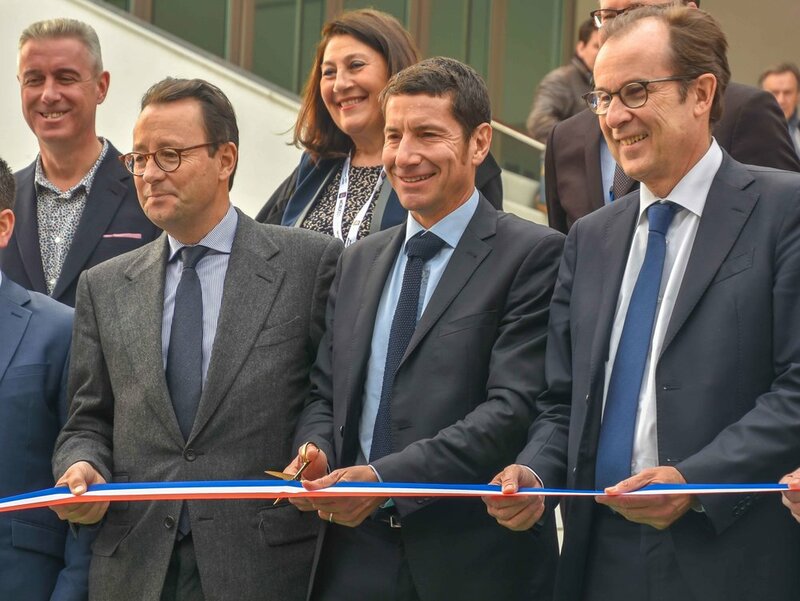 The Mayor of Cannes, David Lisnard, kicks things off with a ribbon cutting. After a full day scouting the various golf destinations of the world, we decided to head down the street and actually visit one of them. Good times in Cannes with Leo. It's hard to capture the serene feeling that the surrounding trees on the Old Course provide. The Grand Duke Michael Mikhailovich of Russia founded the Old Course at Cannes Mandelieu in 1891 and the routing would later be altered by HS Colt. The most beautiful aspect of the course is without a doubt the canopy of trees that surrounds just about every hole. While it is not long at only 6,300 yards it is certainly a very enjoyable round of golf. I teed it up with 2 Frenchman who did not speak a word of English. Since I did not speak a word of French, there was not a lot of chit chat. However, all 3 of us spoke the language of golf and we traded groans, grunts, and fist bumps as the highs and lows of our rounds unfolded. Even though we did not talk, I would rank my playing partners high on the enjoyability scale. If you have the opportunity to play with someone and only communicate through golf noises, I would recommend it. I only had to punch out 3 times on the 4th hole. The short 16th was my favorite of the par 3's. With only one course left to play in France. we were lucky enough to play one of France's finest. We were headed out for some twilight action at Golf Country Club de Cannes Mougins. The course hosted the Cannes Open in the 1980's and 1990's featuring winners such as Greg Norman and Seve Ballesteros. 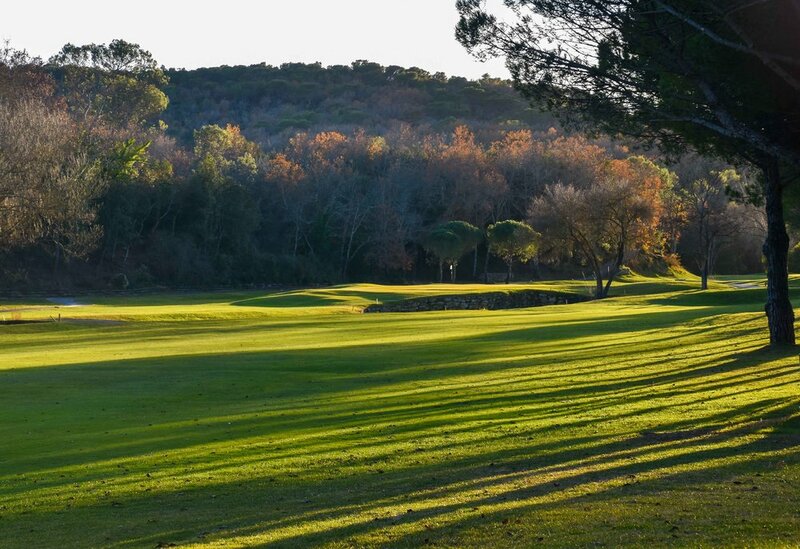 If you only have time to play one course in the Cannes area, this is the course you want to play. If you are interested in creating your own French experience please reach out to Paris' premier golf & art de vivre travel concierge, Private Golf Key. The CÔTE D'AZUR website is also a great French reference. Our trip to France ended in Cannes with a fantastic party that generated this awful selfie of me attempting to lick the Ryder Cup. As an FYI, I google image searched "People licking the Ryder Cup" and found lots of people kissing, posing, and drinking from the cup, but as far as I can tell I am the first person in history to lick it. According to my nieces, cooties only last a week, so we should be good to go come presentation time in 2018.